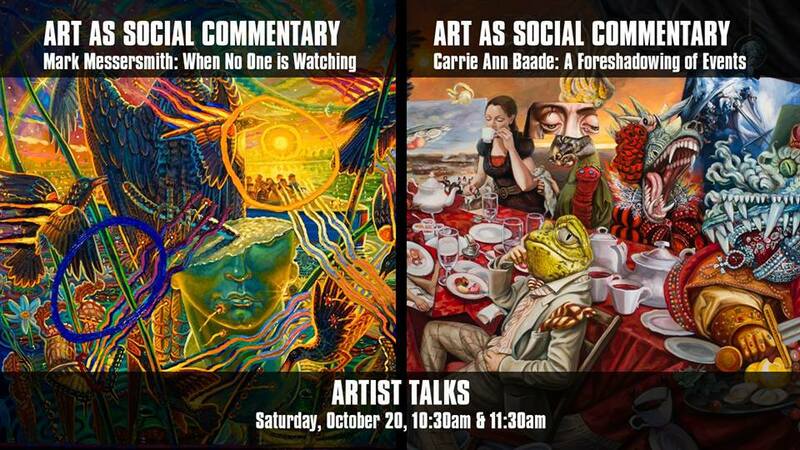 Gadsden Arts invites you to two gallery talks with “Art as Social Commentary” exhibiting artists, FSU Art Professor Mark Messersmith and FSU Art Associate Professor Carrie Ann Baade. Each artist will discuss their work in depth in the Bates Community Room. The Gadsden Arts Center & Museum has a $5 suggested admission (members free). There is no additional fee to attend these gallery talks. The talks take place on Saturday, October 20, 2018, starting 10:30am.